Uttar Haryana Bijli Vitran Nigam Limited (UHBVNL), a Govt. of Haryana undertaking undertakes the Power Distribution and Retail Supply Business in the Northern Parts of Haryana. 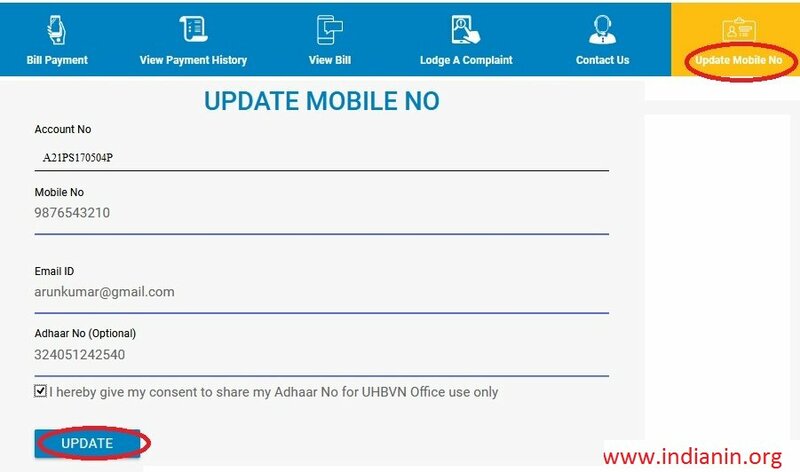 Pay your electricity bill online in Haryana through UHBVN website. Go to the link of Pay Bills Online available in the home page. 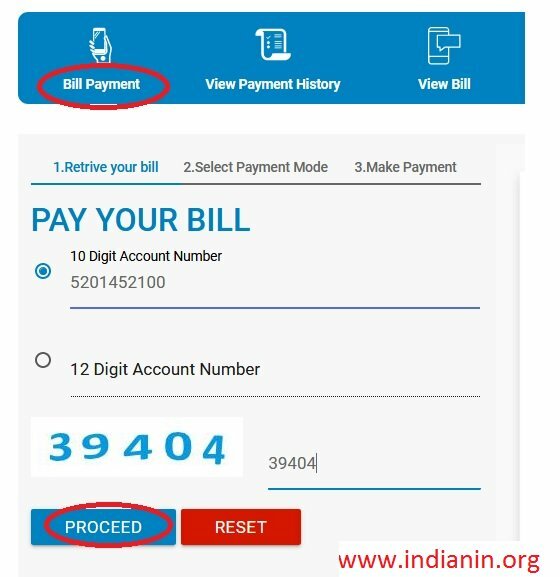 You can pay your bill using 10 digit or 12 digit account number. Step 4 : Then select your payment mode to make payment online. Step 1 : Click View Payment History tab to view your transaction. Step 2 : You can view the details using Account Number, Bank Reference Id or Reference Id. Enter your value according to selection criteria. Please Enter Your 3 digit SubDivision Code (F11) followed by 9 digit Account Number (Without Slashes Hyphen). Just enter Account Number to make payment. Login Feature has been Disabled here. Select option as RAPDRP or Non RAPDRP. 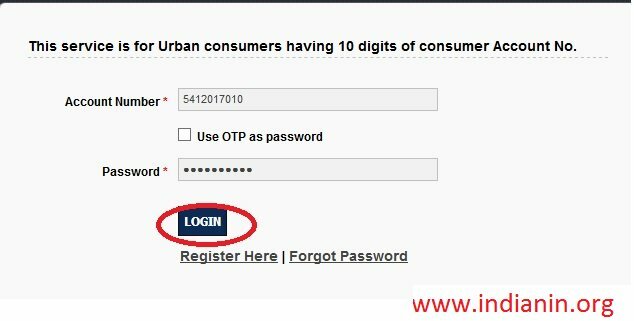 If you select RAPDRP, then you will be redirect to account login page. If you select Non RAPDRP, You can enter your account number alone and click on proceed button. Pursuant to clause 21.2 of the Distribution and Retail Supply Licence, the HVPNL hereby lays down the following Complaint Handling Procedure relating to Distribution and Retail Supply. ** Complaints can be lodged in writing or on telephone with the complaint center or concerned SDO and should have the essential information as per Annexure-I. Step 7 : Click on Submit Button. ** By display/dissemination of the above information on the back of bills and/or separate handouts attached to the bills from time to time. ** By display of the above information on notice boards outside the offices of all SDO’s and XEN’s. ** In the case of line breakdowns the supply shall be restored within 8 hours of receiving the complaint in towns/cities and within 16 hours of receiving the complaint in rural areas. ** In case of major failure involving Power transformer, the normal supply shall be restored within 7 days. However, in such cases alternate arrangements to supply power to the affected areas would be made within 24 hours. Follow the below steps to update your Mobile number. Step 6 : Click on Update button. The applicant desires to have and agrees to take Electrical supply for th e purpose stated in the Application and Agreement form, from the supplier at the premises stated, not exceeding the sanctioned load of the installation. Step 13 : Click on Apply Button. ** Users should fill in the details in the On-Line Application form at the appropriate places very carefully. ** Form detail should be spelt correctly in the application as it appears in the form. Any change/alteration found may disqualify the application. ** Users should cross-check the data before submitting. 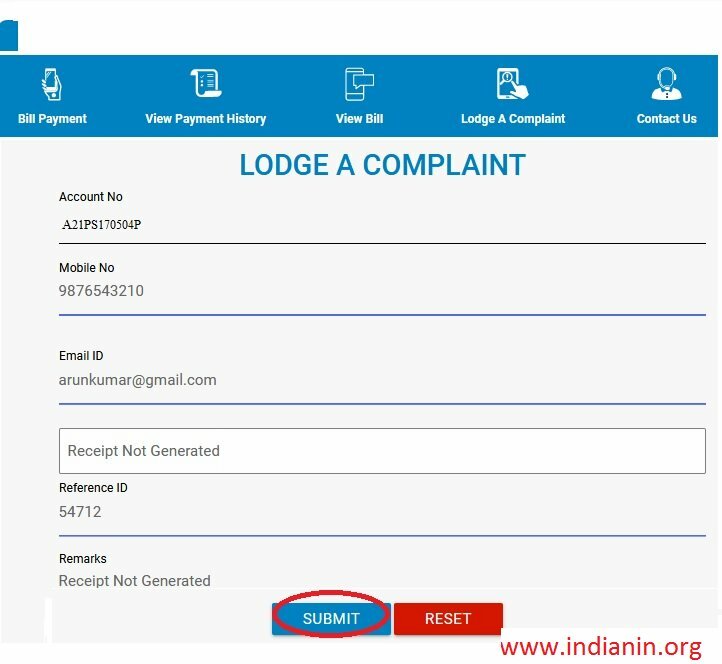 ** When the data is saved, E-form number will be generated by the system and displayed on the screen. ** Before pressing the “APPLY” button, users are advised to verify every field filled in the application. No change/edit will be allowed after submission. 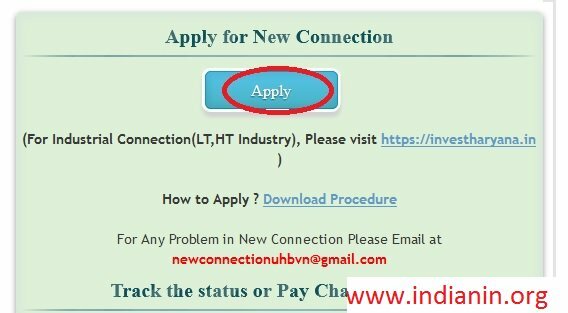 ** Once the application is completely filled, applicant should submit the data by pressing the apply button. ** Applicants are required to take a printout of the application form. ** There is also a provision to reprint the submitted application. ** Any information submitted by an applicant in his/her application shall be binding on the candidate personally and he/she shall be liable for prosecution/civil consequences in case the information/details furnished by him/her are found to be false at a later stage. The Attendance ID will be generated from you Aadhaar number, the 6 digit number will be generated based on the last 6 or first 6 digits of your Aadhaar number. ** Enter your Full Name. ** Enter your 10 digit mobile number. ** Hit the “Next” button or click on Organization details tab to complete the second part of the form. ** Upload your recent scanned/digital picture in “.jpg” format of max file size 100 KB. ** Please enter the captcha code. ** Please review the form before submission. ** To get your Attendance ID, register online at attendance.gov.in. ** Attendance ID has been sent by SMS to your registered Mobile Number. ** If, you see a CROSS instead of your photo, then some ERROR has occurred while marking attendance. ** Error 997 – Your finger prints are not properly registered at UIDAI. Please get your Finger Prints and Iris re-scanned at permanent Aadhaar Centers near you. Don’t forget to mention your Aadhaar number. 1. What is an Energy Meter? 2. How accuracy of the meter is defined? As per IS 137779/ IEC61036/ ID13010 accuracy of the meter is defined by comparing the difference of energy consumption recorded by “Meter under test” and of “Reference Meter” with the energy consumption recorded by a reference meter. Accuracy (%) = (EMUT – ERef) x 100 (E Ref). The accuracy of both Mechanical and Electronic meter is defined by above equation. 3. Which is more accurate- mechanical meter or electronic meter? 4. What is the meaning of fast meter? 5. Why electronic meter are considered as fast meter? If two meters are accurate, than under the recommended reference conditions they will record same irrespective of the technology.